A recent suggestion that new housing on inner-city public land should start from a presumption of 100% social housing prompted indignation in government circles. “We can’t condemn another generation of Victorians to live in housing poverty,” huffed the housing minister, Martin Foley. 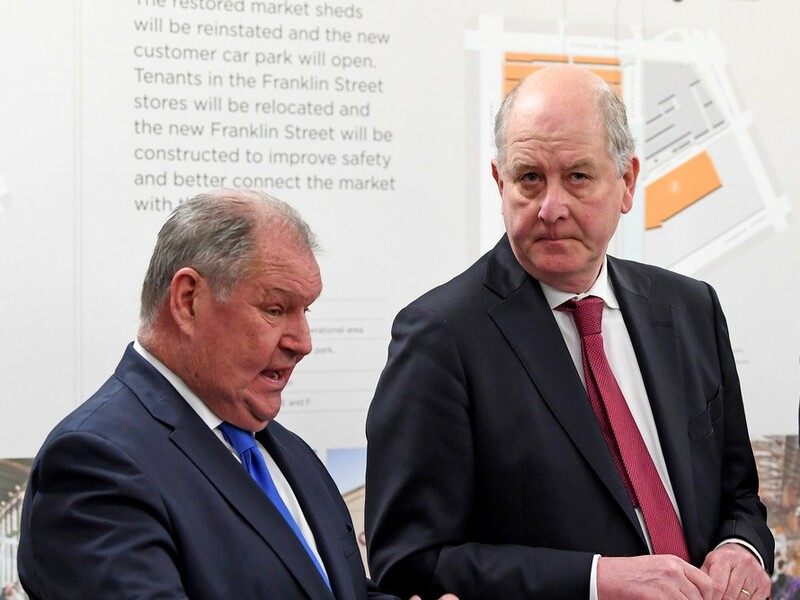 It’s curious, then, that we heard barely a peep about the latest government announcement that the height of an apartment tower associated with the Queen Victoria Market makeover will be reduced by removing the original affordable housing component to a separate, smaller development. It is tempting to conclude that both responses accord, naturally, with the interests of the developers of private housing. But that would be to over-simplify the complex issue of social mix. It is increasingly clear there is no one-size-fits-all. The principle of social mix now routinely drives public housing estate renewals and new housing builds on surplus public land. This is usually expressed in a 50:50 mix of social (public and community) and private housing, though the social component is often much smaller. As the stock of public land is ever diminishing, and affordable housing is in such short supply, this is problematic. I have argued before that government commitments to social mix are often disingenuous. They are more likely to be driven by an ideological imperative to privatise public assets, or at best to secure upgrades to public housing without having to fund them directly. Soon-to-be-published research by Abdullahi Jama and I on the Carlton public housing estate redevelopment supports these conclusions. Our findings show that public and private residents on the new estate are not mixed. They are divided into separate buildings with separate gardens, explicitly with a view to increasing the value of the private apartments. The case that normally follows from such a finding is that public and private households should be “salt and peppered” through new apartment buildings to encourage social mixing. While Abdullahi and I agree this is a necessary precondition for social mixing, this is not the entirety of our argument. We question the very basics of the policy orthodoxy on social mix. The rationale for building upmarket private housing in low-income areas draws on the neighbourhood effects thesis, which says that concentrations of poverty exacerbate its effects. This might be the case in large areas of disadvantage, such as the US Rust Belt cities, parts of the UK and even some outer suburbs of Sydney and Melbourne. But it doesn’t stand up in highly resourced, gentrified inner cities where community facilities and opportunities for interaction are plentiful. Even where poverty is widespread, studies from Toronto, Vancouver, Amsterdam and London show that imposed social mix disrupts support networks and social structures. Involuntary displacement from a neighbourhood often has serious effects on physical and mental health. Minority communities may benefit from concentration in terms of safety and maintaining their cultural heritage. A substantial body of research shows that social mix policies do not replace the social capital they displace. So, are there good reasons to introduce social mix? The strongest argument is the reduction of stigma that for some people comes with public housing. If the public housing is indistinguishable from private housing, the public tenants’ wellbeing is considered to be improved. It’s not entirely clear, however, whether this is due as much to the housing being new and decent as to having private residents as neighbours. Also unresolved is the question of whether stigma is felt as keenly on estates in gentrified cities, which are islands of public housing in seas of inner-city privilege, as it may be in widely disadvantaged neighbourhoods. There is certainly evidence that, for some people, being thrust among others from different class and socio-economic groups can increase feelings of inadequacy, discomfort and sometimes hostility. SO HOW DO WE PROVIDE AFFORDABLE HOUSING? These issues vary across place, time and individuals. What is clear is that different responses are needed accordingly. It is also clear that, with dire shortages of affordable housing in so many cities, all opportunities should be seized to build as much affordable housing as possible. That’s not just public and community housing, but “key worker” housing, “below market rent” housing, co-op housing and community land trusts. Models for all these exist and should be encouraged and explored. Separate buildings for social tenants and private residents next to the Vic Market might be a perfectly reasonable response. But it should come from nuanced public policy and optimal use of public resources, rather than the developers and their sales people.